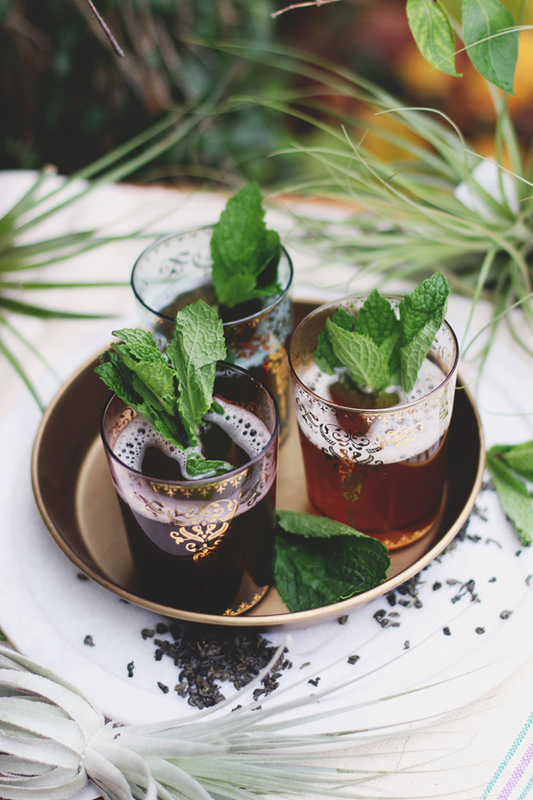 Warm up from the inside out with this recipe for Moroccan mint tea, perfect for any time of year! This post comes to us from Alexis of Teaspoons & Petals. Imagery shot at Terrain by FP Julie. The ritual of tea is something that carries me through the chillier, darker months when I naturally gravitate toward a comforting practice that warms my body and soul. Beyond my personal steeping routine, the art of making tea has been treasured in a variety of cultures throughout history. 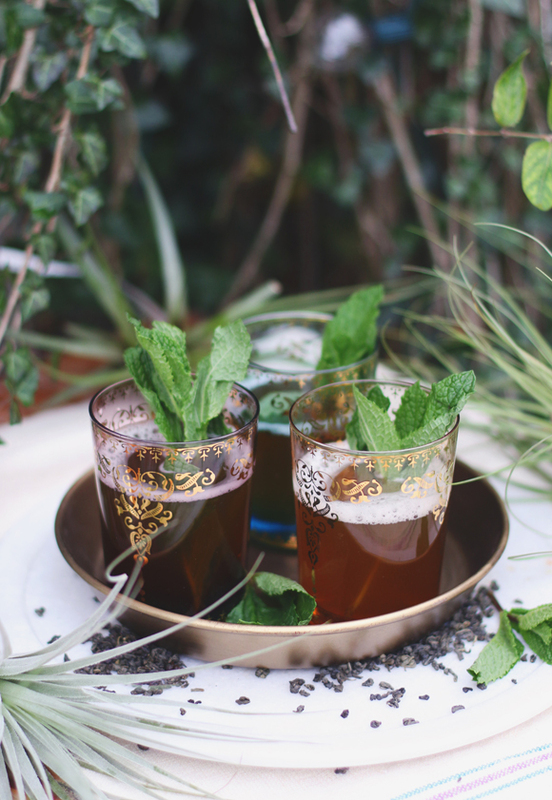 The process and practice of making a traditional pot of Moroccan Mint Tea is truly steeped theater. The three basic ingredients are Chinese gunpowder green tea, spearmint and sugar. Chinese gunpowder green tea (the rolled, ball-shaped tea leaves are said to resemble gunpowder pellets), is a bold green tea that is slightly smoky and can stand up to the freshness of the mint. Below you will find a slightly adapted version of the traditional Moroccan Mint Tea process that still preserves many traditional steps. For example, an everyday pot would be replaced with an intricately engraved silver Moroccan teapot that can be placed directly on the fire. And the large quantity of sugar has been swapped with winter-friendly rich, soothing honey from our friends at Terrain. And rather than stir the pot after adding the sweetener (as I instruct to do so below), the tea would be poured out of the tea pot and into a traditional Moroccan glass and then back into the teapot. This process would be repeated three to four times to mix the sugar and cool the tea. Special Tools: Tea strainer/small mesh strainer, two tea cups or traditional Moroccan glasses and tea pot that can hold at least 4 cups of tea. In a medium pot, heat 5 cups of water to a rolling boil on the stove. Once the water reaches a boil, turn off the heat. Place a small strainer in a teacup and add the Chinese gunpowder green tea. Pour 1 cup of the boiling water over the tea leaves — in the tea cup — and let the tea steep for 30 seconds. Once 30 seconds have elapsed, remove the strainer with the tea leaves and set aside (do not discard the tea leaves). Reserve this cup of steeped tea for later. Traditionally, this is known as the soul of the tea. Place the strainer with the steeped tea into a second tea cup. Pour 1 cup of the hot water over the tea leaves and steep it for 15 seconds. Remove the tea strainer with the tea leaves and set aside (do not discard the tea leaves). Discard this second cup of steeped tea. Add the steeped tea leaves, the first cup of steeped tea, the handful of mint, and honey to the remaining 3 cups of water in the pot on the stove. Heat over medium heat until it reaches a hard simmer, and then let simmer for 5 minutes. As it simmers, stir to help dissolve the honey. Strain into a teapot that can hold 4 cups of liquid or strain into a heatproof pitcher and enjoy while warm. Serve with fresh spearmint leaves to garnish. + What’s your favorite way of enjoying tea? Please share in the comments! Alexis Siemons is a tea consultant and writer of teaspoons & petals, and is certified in the Foundations of Tea (Level 1 & 2) by the Specialty Tea Institute. 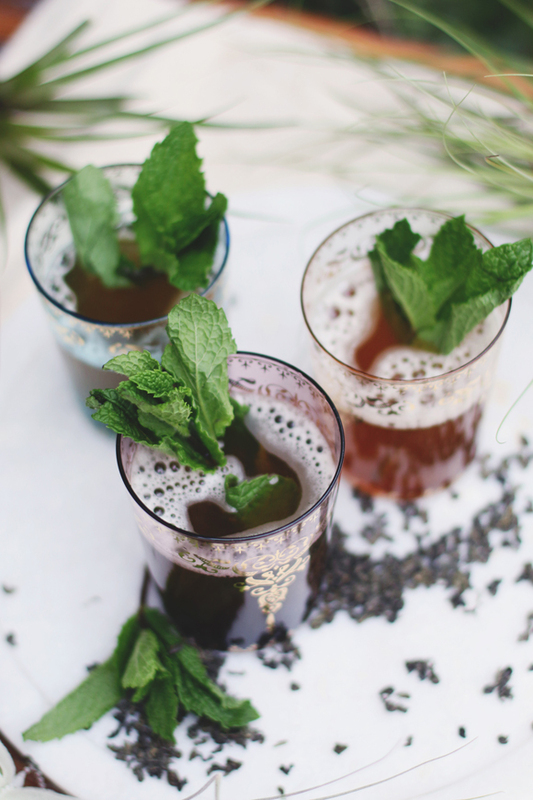 Alexis contributes tea recipes and stories to publications, teaches a series of culinary tea classes, and develops tea programs for brands and restaurants/cafes. She recently launched a series of seasonal journals on cooking with tea featuring original tea-infused recipes, stories and photographs (each journal is printed on recycled paper and lovingly wrapped in a vintage handkerchief). Issue 1 is out now! Subscribe to her blog to be notified of the winter journal release. Follow Alexis on Twitter and Instagram, and her blog, Teaspoons and Petals. I love mint! This looks delicious, and the glasses are beautiful! I love Moroccan mint tea. It’s in my top 5 teas, for sure. 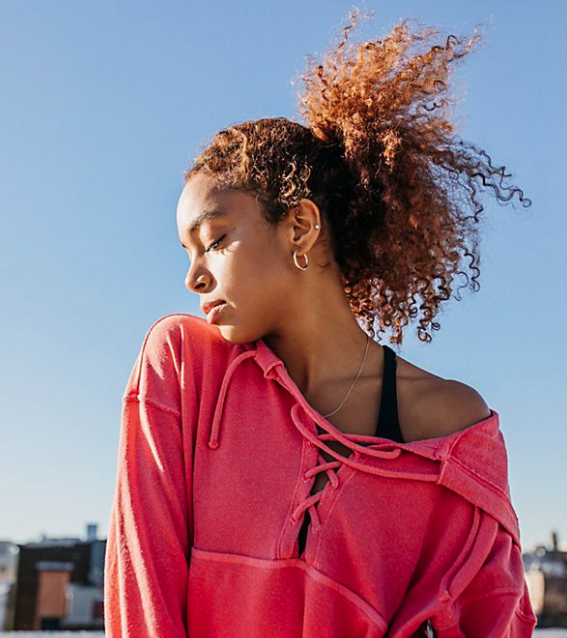 These photos are gorgeous and I am definitely going to try out this version of the delicious treat!